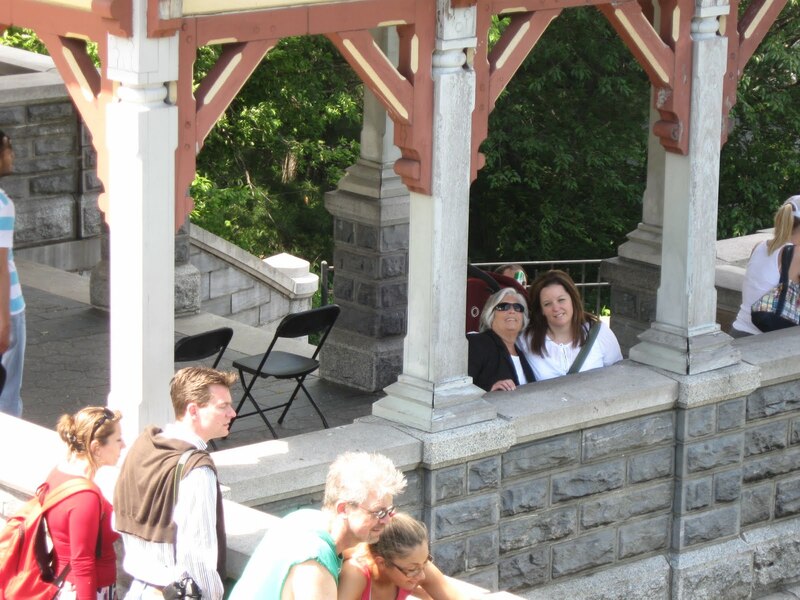 On Saturday, my Mom and my sister and I all headed to New York, to get a head start on celebrating Mother’s Day. Every good trip should start with a healthy breakfast, and this was no exception. 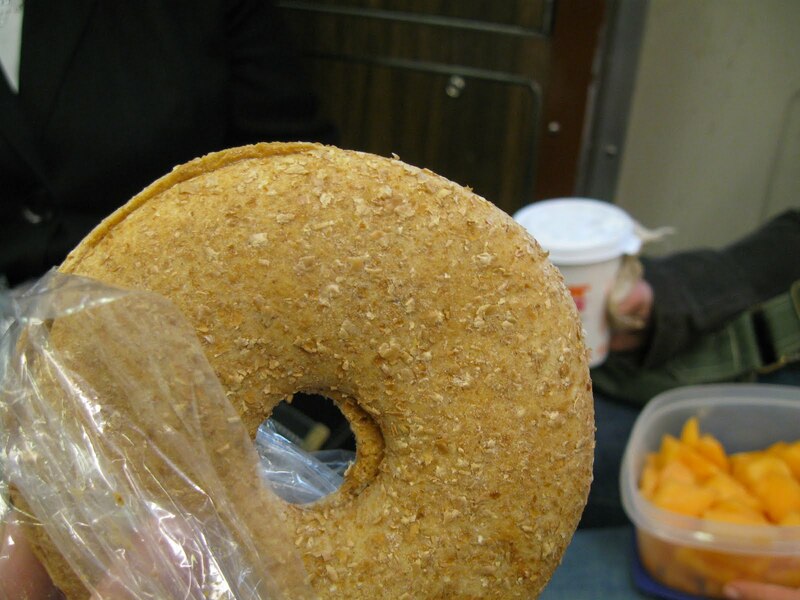 I packed a breakfast buffet for us to enjoy on the commuter train into the city. We had fresh cantaloupe to share, peanut butter sandwiches on Bagel Thins, and caffeine containing beverages. Then we were off to the Metropolitan Museum of Art, to see the Picasso exhibit and the American Woman exhibit. Both exhibits were good, and the museum itself has so much to see that it’s almost overwhelming. 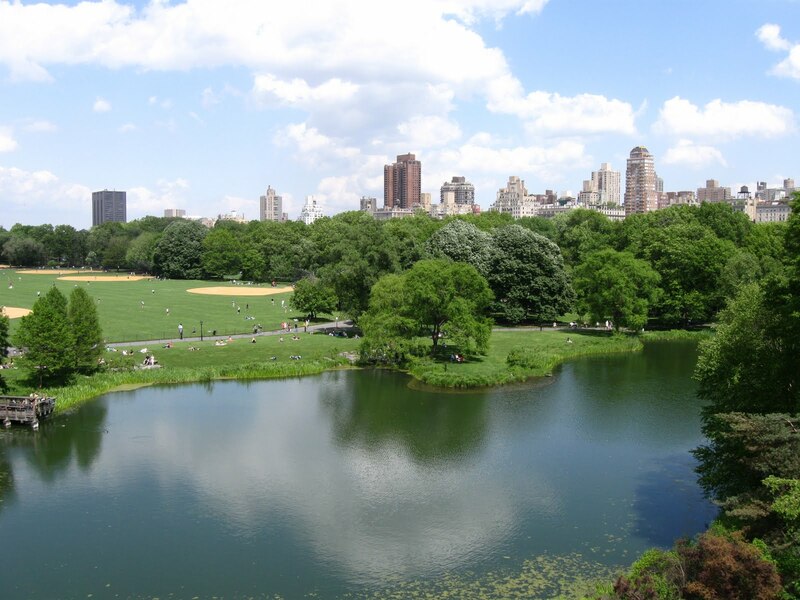 By the early afternoon, the sun was shining and we decided to walk through Central Park because I wanted to see Belvedere Castle. The view from the top was amazing, and look who I could see when I zoomed in with my camera? But then, it was most definitely time for lunch! We headed to Fig & Olive, which turned out to be an excellent choice. We ordered wine, a cheese tasting plate, a vegetable tasting plate, and gourmet crostini. The cheese plate included goat cheese, Gorgonzola, Fontina, Machego, and Rocchetta, accompanied by fig jam and olive tapenade. 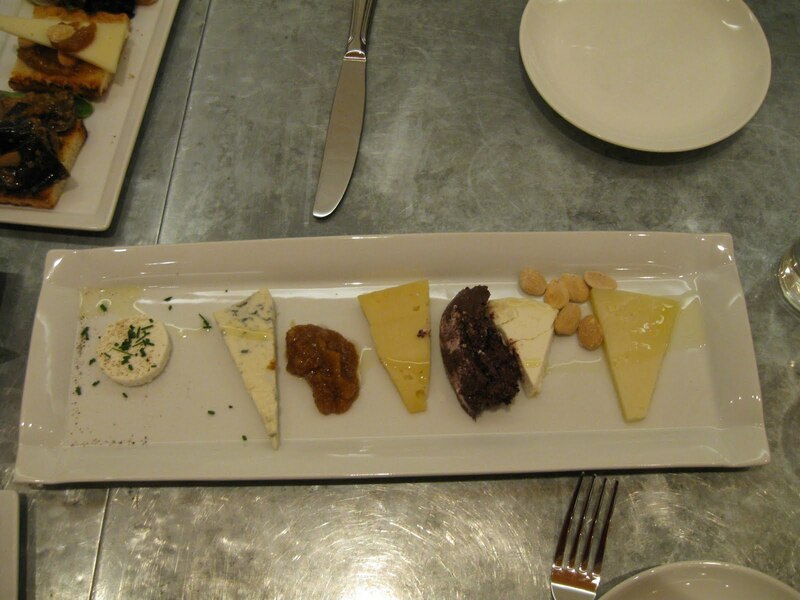 My Mom and I liked all of the cheeses although my sister favored the Fontina and Manchego. We all agreed that the fig jam was amazing though! 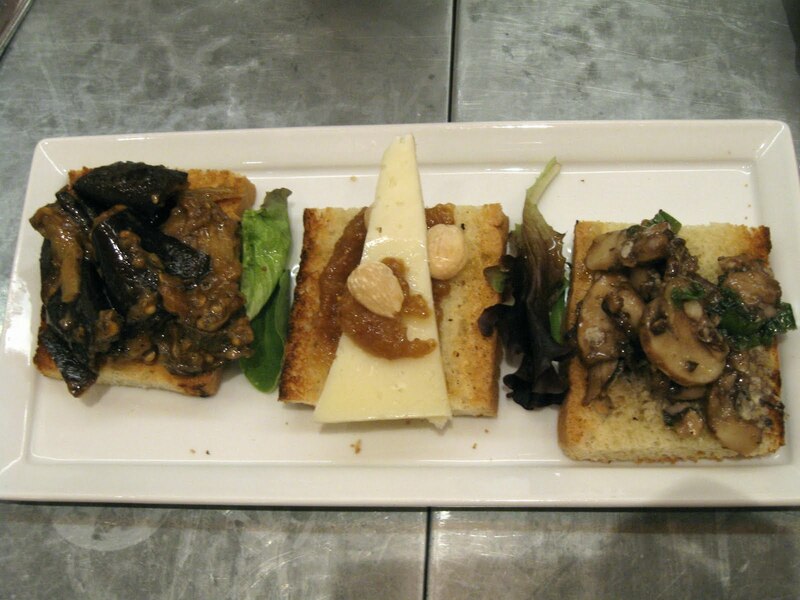 The crostini that we chose included one with eggplant, one with Manchego and fig, and one with mushrooms and Parmesan. My favorite was the roasted eggplant, and there was more roasted eggplant on our vegetable dish. One of the more interesting items on the vegetable plate was this orange scented fennel. 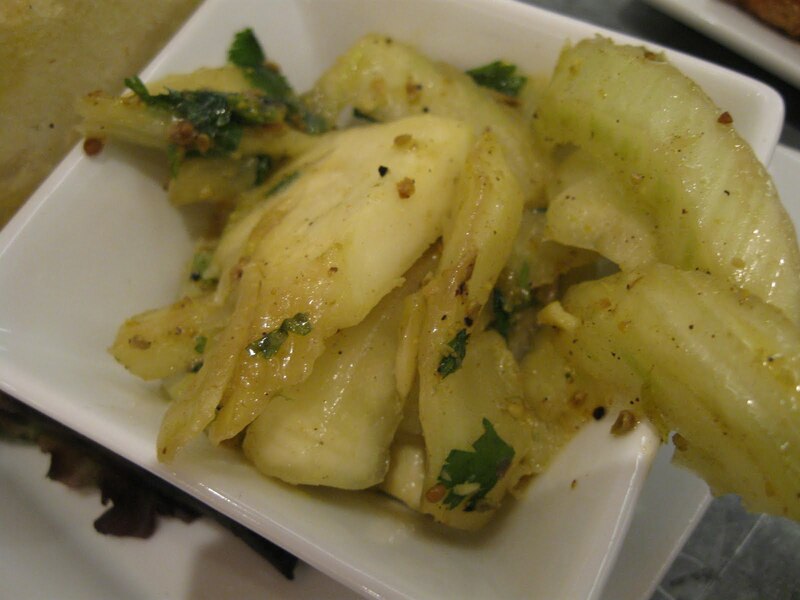 I had never tried fennel this way, so it was a new experience, although I am not sure I liked the licorice flavor. My Mom and my sister both loved the roasted peppers on the vegetable plate, and we all liked the balsamic artichoke hearts. It was such a great meal, full of small bites and wonderful flavors. 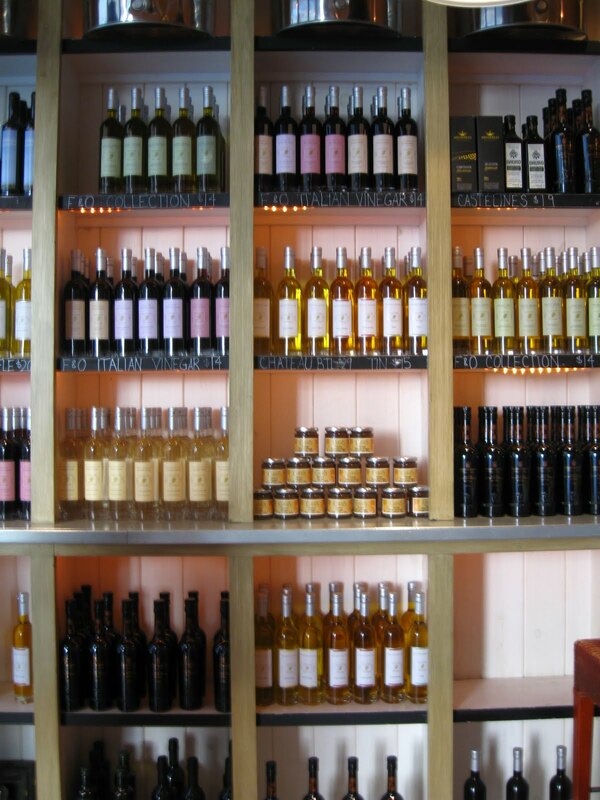 There were many bottles and jars on the walls, but unfortunately there was no fig jam available for purchase. We strolled through Rockefeller Center and Times Square, and then it was time to take the train back home. Somehow, in the city that has everything, we had a difficult time locating an ice cream shop on the way to Grand Central Station. Finally, we found a place to purchase gelato, which we enjoyed on the ride home. It was the perfect ending to a fun day! I love Boston, I really do, but New York City does have a certain energy that can’t be matched. I can’t wait until my next trip!